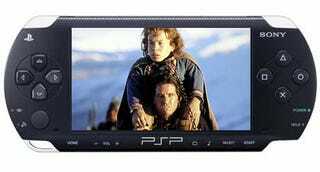 When Sony announced the latest PSP firmware update - 4.05, if you're keeping track - the other day, they said it introduced some new music visualisers. That and some mysterious "other features". They're less mysterious now, as Sony's support site says they introduce "support for [the] PLAYSTATION Store Movies and TV video service". Not that it matters now, but with Sony's E3 address taking place in only a few of hours, it will probably matter very soon. Stay tuned.